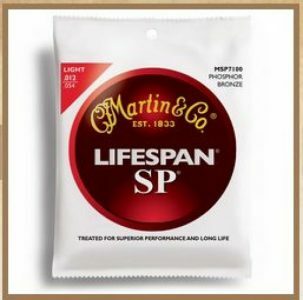 BUY ANY 3 SETS OF D’ADDARIO STINGS AND RECEIVE 15% OFF!! EXL120, one of D’Addario’s best selling sets, delivers super flexibility and biting tone. 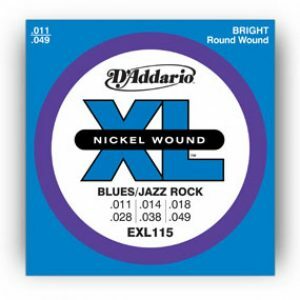 D’Addario XL Nickel Wound Electric Guitar strings are world-renowned as “The Player’s Choice” amongst players of all genres and styles. 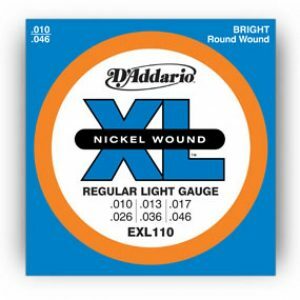 XL’s are precision wound with nickelplated steel on a hex-shaped core, resulting in strings with a distinctive bright tone and excellent intonation.